I feel bad for fish sauce. If people only looked beyond its name that brings up smelly thoughts and saw it for what it really is inside: an amazing source of saltiness that gives depth to the taste of so many Thai dishes. 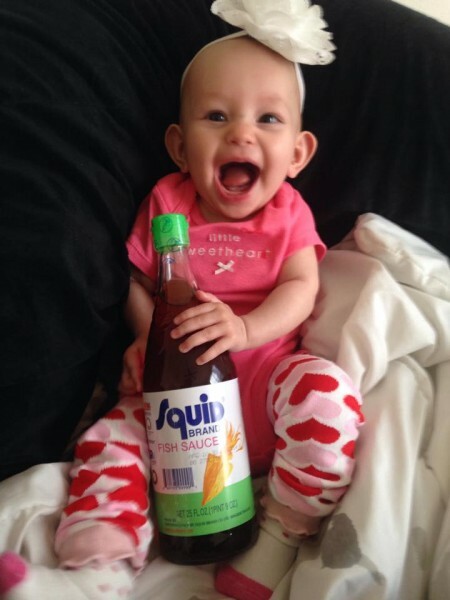 But I had the same feeling most of my friends do when I first heard of fish sauce. Yet, I knew there had to be more to it than the putrid name since I adore Thai food, but loathe anything that tastes fishy. I knew that fish sauce must magically transform the moment it touches Thai food because none of the Thai dishes I loved were ever what I would call fishy tasting. And it’s true! I use fish sauce almost every day and no one has ever said the Thai dishes I make are fishy…hopefully they don’t think that and not tell me, but my friends keep asking me to make them more Thai food, so I think that’s a good sign. How is fish sauce is made? I learned through the Thai chef Kosma Loha-unchit that fish sauce is made of tiny fish that live in schools in the emerald green waters in the Gulf of Thailand. The schooling fish are caught and put into earthenware jars with layers and layers and layers of salt between them, and then covered up with a bamboo mat and left to ferment for about a year. Then the salty sauce is drained out with a spigot, strained, and then it airs out for a few weeks, so it doesn’t smell quite as fishy once it’s bottled up. What kind of fish sauce is best? 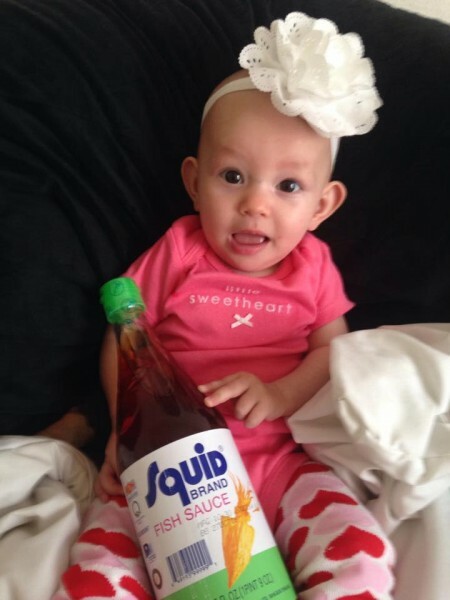 We live in Austin, TX, so if I can find any fish sauce, I’m happy. 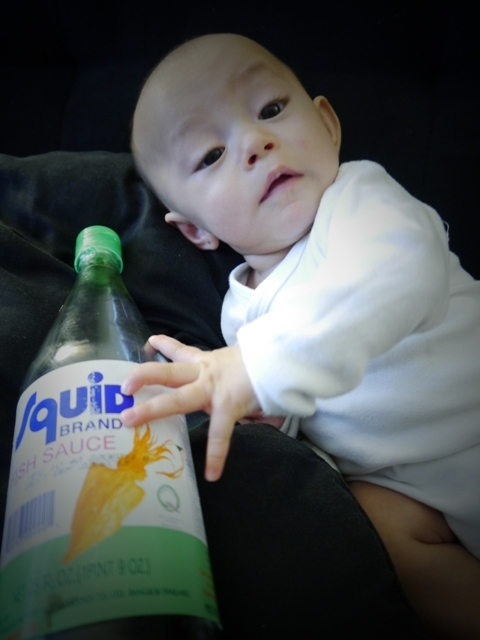 Our Asian market always has this Squid Brand Fish Sauce so that’s what we use, but any fish sauce from Thailand is great. I often saw Tiparos fish sauce at Thai streed food vendor carts, so that means it’s legit. 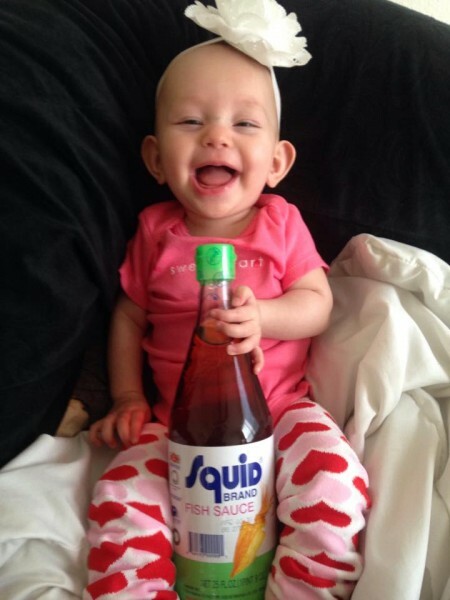 Is fish sauce good for you? If you want to cook Thai food, fish sauce is an essential ingredient for your pantry. Don’t be afraid of it! It really wont make your food fishy, but it will give it that flavor you always love the moment a bite of Thai food enters your lips! And they always say, when you are cooking Thai food and if it doesn’t taste quite right, when in doubt, add some fish sauce! 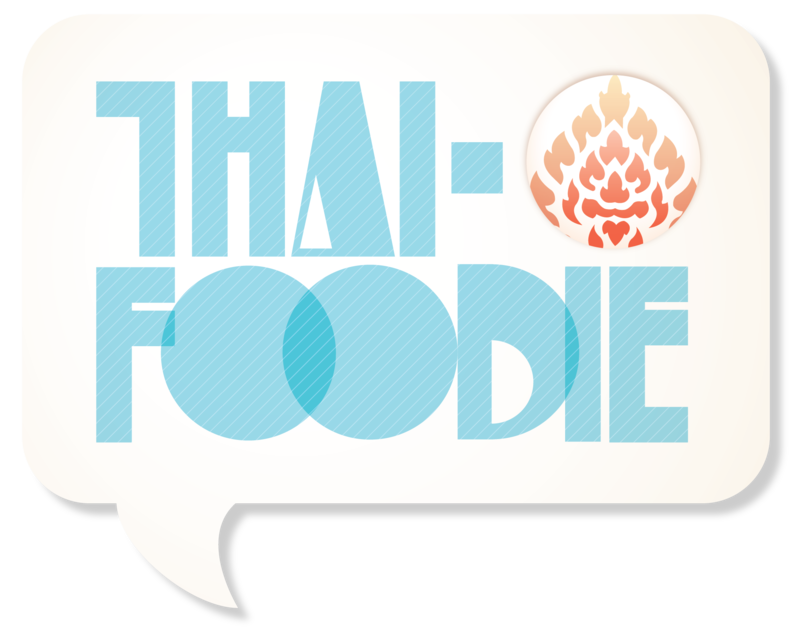 Stay tuned for more essential Thai food ingredients to stock in your pantry for cooking Thai food! 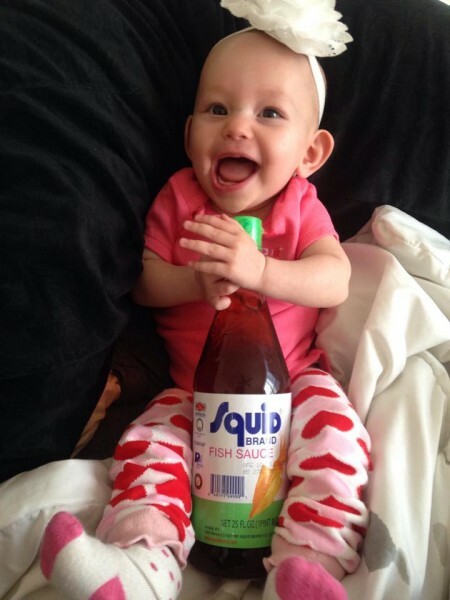 P.S.-Our family all loves fish sauce at an early age! The below pic is our 2.5 year old son Rocco when he was around 4 months old, and the above pics are of my daughter Milana who is 5 months old!